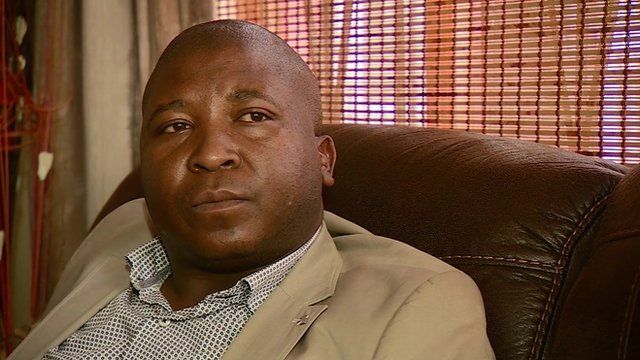 Mandela interpreter defends performance Jump to media player The sign language interpreter accused of using fake hand signals at Nelson Mandela's memorial has apologised if anyone was offended by his performance, saying he saw "angels" in the stadium. 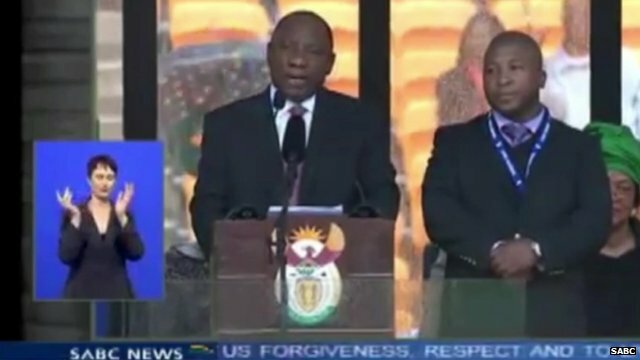 Outcry over Mandela memorial signer Jump to media player Deaf viewers of Nelson Mandela's memorial service have complained that the official sign language interpreter was inept. 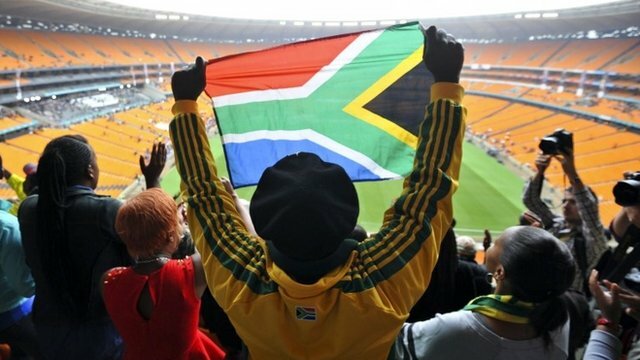 Outcry over 'inept' S Africa signer Jump to media player Deaf viewers of Nelson Mandela's memorial service have complained that the official interpreter was "signing rubbish". 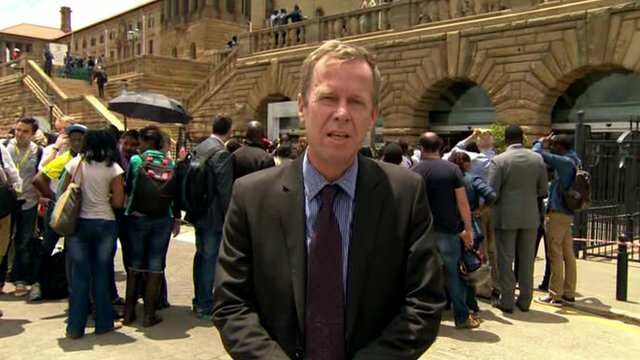 Thousands file past Mandela's body Jump to media player Long queues have formed outside government buildings in Pretoria as people gather to pay their respects to Nelson Mandela. 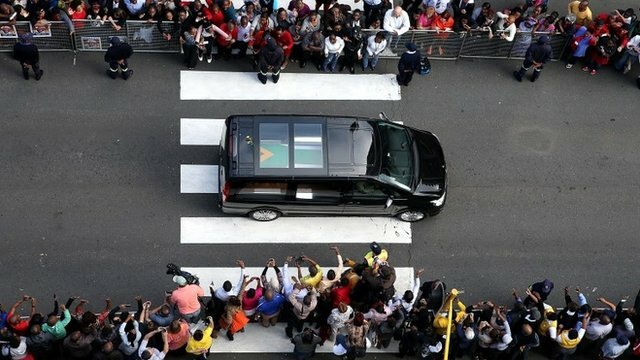 Mandela's coffin taken in procession Jump to media player The body of Nelson Mandela has arrived at the Union Buildings in Pretoria, where it will lie in state for three days. In the crowd at Mandela's memorial Jump to media player Tens of thousands of South Africans braved the rain to attend the national memorial for former President Nelson Mandela. The BBC's Christian Parkinson spent the day in the crowd. 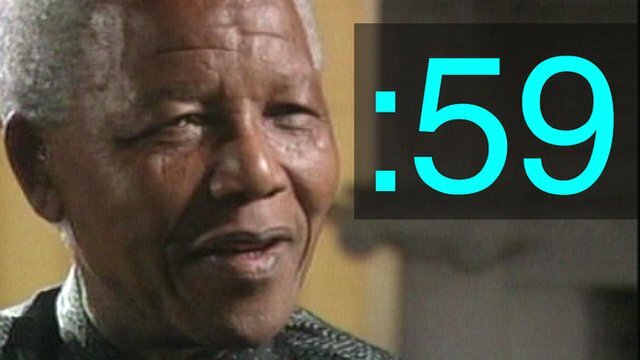 Nelson Mandela memorial key speeches Jump to media player Thousands of South Africans joined dozens of world leaders for the national memorial service for former President Nelson Mandela. 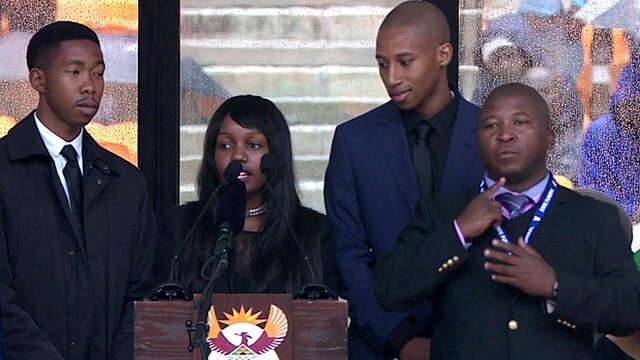 The sign language interpreter accused of using fake hand signals at Nelson Mandela's memorial has said he suffered a schizophrenic episode. 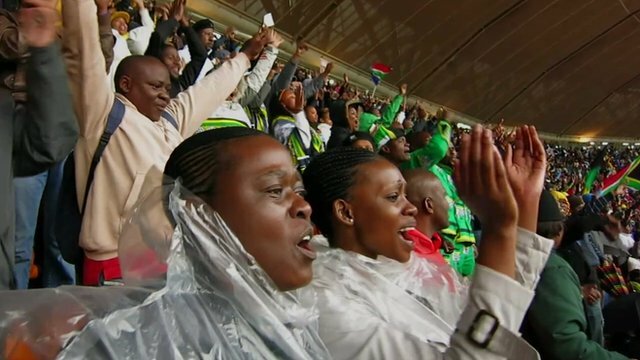 Thamsanqa Jantjie, 34, told the BBC's Ros Atkins that he saw angels coming into the stadium. Deaf viewers at the memorial service said he was "signing rubbish", and complained he was a fraud. Mr Jantjie said he was aware that he might not have been signing exactly what people were saying.